Hello and thanks for visiting us! We hope you find all the information you desire to know about our candles and company. 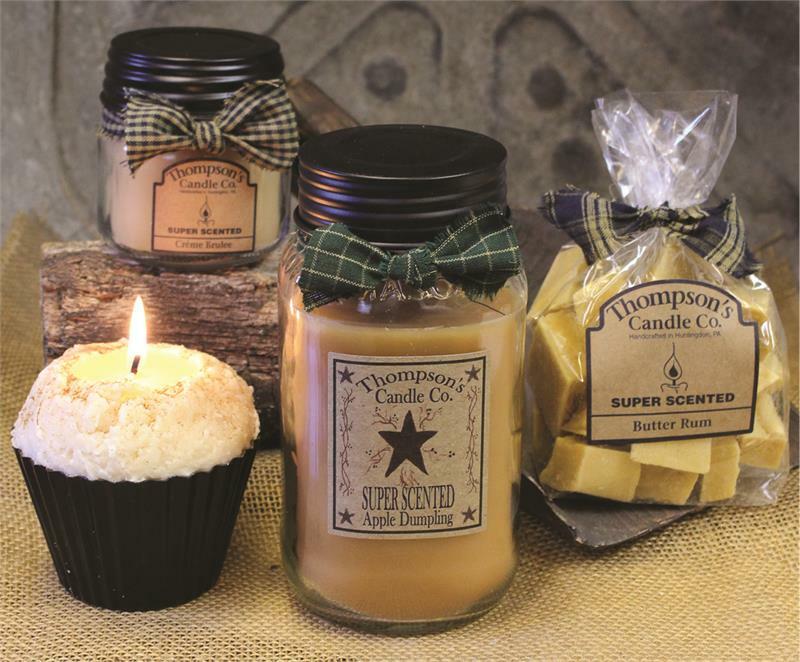 Thompson's Candle Co. has been making artisan crafted, super scented candles since 1997. You will not find a better burning, stronger scented candle on the market today. We are a company which combines superior craftmanship with small town values to bring a truly top notch product to market for you and your businesses. From the individual adding color and scent to brighten a room to a large company ordering thousands of candles at a time, we cater to both. Try our candles! You will be impressed by their fragrance, long burn times, and visual beauty. 316 Washington Street in Huntingdon, PA.